We have carried out several reviews and general blogs regarding the Vaillant Pure Ecofit boiler, Vaillant boilers newest addition. It is now time to revisit some of the points we made about this range of gas boilers. Well how has it gone and what have we learned so far? MDS is a long established heating merchant and enjoys a great reputation with our customers so we always treat new boilers with a bit of caution to start with. How do we think it has gone so far? A new range of Vaillant boiler which are very different to the long established Ecotec range was always going to start off slow. Trying to get installers to give a new product a go despite advantages of size and sound levels not to mention a rear flue option is always difficult. Throw in the fact that the heating engineer might have to read the installation guide will upset the precious darling and make his job a bit more demanding! Well after 9 months of selling EcoFit Pure boilers I think that MDS can at last give their opinion and a few facts. Installers have slowly increased their purchasing of the boiler and it is now quite noticeable that many are repeat installing and saying that they actually like the boiler now they have installed a few. That might not sound like a ringing approval but trust me that is quite a recommendation from a gas installer. The big thing that I notice which the most important thing is probably is we are getting no problems with dissatisfied end users. Simply put a boiler is a big ticket item and if there is warranty issues we hear about it quickly. A customer who has a thousand pound Lemon on the wall is quick to tell you and demand it is sorted out. The best recommendation for a new gas boiler is steady and increasing demand, repeat sales and no problems. The Vaillant Ecofit Pure seems to be ticking the boxes so far and as a company we have also become less cautious about this boiler. 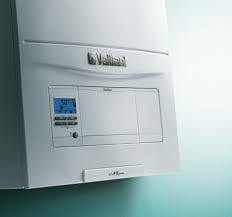 With its small size, useful flue options and competitive pricing the latest Vaillant is another long term winner.